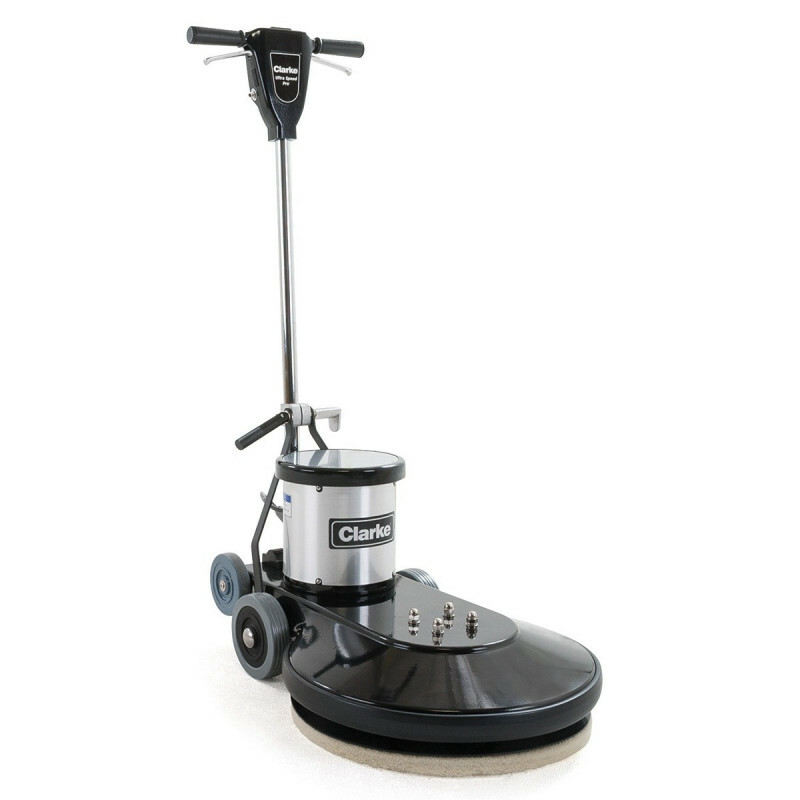 This Clarke 1500 RPM floor polishing burnisher comes with a 20" floating pad driver with locking nut. This allows you to lock your pads in place and not worry about them as you burnish. The floating pad driver is extremely flexible and allows for maximum pad to floor contact at all times. Backed by a 3 year power train warranty, you can have complete confidence when purchasing this unit that it will not only last for many years, but that it will also provide a nice shine to your flooring surfaces. Not only is this floor burnisher priced competitively, but it also ships for free to any continental U.S. address! This machine typically pulls 13.5 amps, but can pull more on initial start up. If your machine is continuously blowing the breaker located in the handle, we recommend using a more aggressive burnishing pad, like one of our 20" animal hair or pink burnishing pads. More aggressive pads actually create less drag than softer pads on start up, so you may need a more aggressive pad, or to simply use a spray buff / mop on burnishing solution. 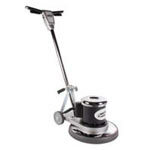 All metal construction provides for a durable heavy-duty floor polishing machine. 1.5 HP D.C. rectified motor pulls 13.5 amps for normal use on any standard electrical outlet. Handle mounted circuit breaker allows for easy resets if you draw too much power & trip the breaker. Flexible pad driver locks pads into place and flows freely over uneven floor surfaces. Comes backed a 3 year warranty on the machine, 2 years on labor & 180 days for travel.